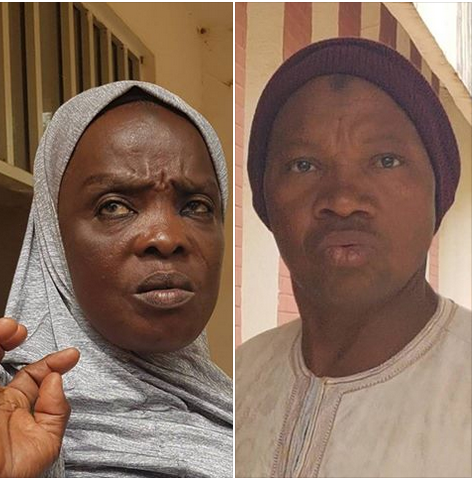 A Federal High Court sitting in Sokoto has sentenced two persons, 44 years old Abubakar Umar (Abuja), male, and Rukkayya Isa(Nana), female, to one year each and a fine of one hundred thousand naira each for human trafficking. Abubakar Umar, an indigenous citizen of Sokoto State, and Rukkayya Isa, from Zugu in Republic of Benin, were arraigned by the National Agency for the Prohibition of Trafficking in Persons (NAPTIP) for assisting and facilitating the activities of persons engaged in the acts of human trafficking from Republic of Benin to Sokoto, an action which contravenes section 13 (4)(C) of the Trafficking in Persons (Prohibition) Enforcement and Administrations Act, 2015. Delivering his judgment, the presiding Judge, Hon. Justice Rilwan Muhammad Aikawa having listened to the three witnesses presented by the prosecution and two witnesses brought forward by the defendants, as well as other evidences presented in the course of the trial, found both defendants guilty of the charge and subsequently sentenced each of them to one year imprisonment and one hundred thousand naira fine, effective immediately. Reacting to the news of the conviction, the Director-General of NAPTIP expressed her satisfaction with the judgment, which brings the total convictions secured by the Agency since inception to 343, and further reiterated the Agency’s resolve to stamp out human trafficking in Nigeria. She also stressed the need for members of the public to know that it is an offence to assist or be involved in anyway whatsoever in human trafficking-related activities, and warned detractors to desist from such acts. 0 Response to "Human Trafficking From Benin Rep. To Nigeria Busted, Suspects Jailed (Photos)"